Are you looking for the best family board games to have some exciting gaming time with your kids or partner? To be honest, you can forget the old school games like Monopoly, Risk, and Clue! We’re here to give your family the best gaming time of its life! The games listed below are brilliant in many ways. They are easy to teach and can be played in one hour or less. They are entertaining for both kids and adults. Finally, they teach great skills to your little, or not so little, ones: counting, reading, critical thinking, intuition, long-term planning and so on. With this review, I have considered board games that can be played by an eight-year-old kid or older. Games for younger ages are typically less interesting for adults, so I left them out. Also, I assumed the player count between 3 and 5. If your family is either bigger or smaller, please check one of our other reviews based on the player count. I can assure you that the best family board games below have an amazing potential to change the way your family sees board gaming. At the same time, picking the best family board games is a tedious task as this is the most popular board game type by a country mile. Thankfully, you don’t have to do it as we have done the hard work for you. Please meet the top 10 best family board games you can buy today! 5. Best Science-Fiction Family Board Game – Clank! In! Space! 6. Best Family Card game – Sushi Go Party! Below is a quick comparison table of the top 10 family board games we have selected for you. Smart and elegant design with countless options to win. Be the first merchant to collect the most rubies! You are a bandit robbing a train. You want to become the richest outlaw of the Old West to win. One of the best selling family board games ever made. Win the game by connecting cities with rail in Europe. A simple, yet hilarious camel race betting board game that is perfect for some family fun! Best Sci-Fi – Clank! In! Space! You and other players are thieves trying to steal prized artifacts from a spaceship. Steal more than others, but make less noise to win the game! Best Family Card Game – Sushi Go Party! 15 minutes of pure sushi eating fun! Pick the sushi for your perfect set and keep an eye on what your friends are eating! Build your city to beat other players in science, military, culture and architectural wonders. Beautiful, easy and extremely enjoyable. Save the world from looming disease breakouts by cooperating with other players and working together as a team. Lead dwarves, wizards, amazons, giants, orcs, and humans to conquer and protect lands. Great teamwork game that teaches collaboration, compassion and the importance of a good cause. In Istanbul, you are a merchant that walks around the crowded bazaar of this beautiful city to collect goods and sell them to the market. Ultimately, you win the game once you managed to acquire five precious rubies. Istanbul is inspired at its core by eurogames and has simple rules, Replay Value and challenging yet accessible decision making. The main components of Istanbul are its large tiles that form the board in a four by four matrix to thematically represent the bazaar of Istanbul. Each tile represents an action, and because tiles can be organized in various ways, every game feels different from another. On your turn, you first move your merchant by one or two tiles. In doing so, you will drop one of your assistants along the way. There are only two means to get them back: either you trace back the same way that you came from, or you meet up at the fountain tile. This forces you to plan the optimal path to maximize your revenue. After moving, you can trigger an action on the tile you have just landed on. Each tile is different and features a unique action. For example, you can collect and sell goods, improve the wheelbarrow, get special abilities, buy gems, meet up with your assistants and so on. On top of that, you potentially meet with special characters that give you bonuses. If you ever meet another merchant though, you must give him money. So you want to avoid having the same strategy and path as other players. Istanbul stands out as a perfect family board game due to its elegant and smart design. It is super fun to play with a great diversity of actions and interactions between players. If you are looking for one of the best family board games for all ages, Istanbul deserves a closer look. Colt Express sets the scene in the Far West where you play a bandit robbing a train from its precious contents. The game can be played with up to six people and only takes around 30 minutes to play. To win, you have to have the most money at the end of the fifth round. When opening the box, you quickly notice the key component of Colt Express: its beautiful 3D wagons that compose the train. The setup is straightforward: you build a train that has the same number of wagons as there are players in the game. Then you place various money items in each wagon. Before starting the game, you have to pick one of the bandits, a deck of action cards, bandit token, and six bullet cards. Each of five rounds in Colt Express consists of two phases. During the first phase, you and other players take turns to select action cards from your hands to create a collective pile of cards. The cards allow you to do various things on the train. For example, you can move inside the wagon, to the roof or another wagon. Additionally, you can shoot another player, punch him, rob passengers or move the sheriff towards other bandits! In the second phase of the round, you get to play cards from the common pile you have created before. Action cards get revealed and played in the same order they have been placed. Taking action specified on the card is mandatory unless it is not possible to take it. For example, your card tells you to rob a passenger, but there are no passengers in the wagon. So, in short – you are planning your actions for the entire round and trying to guess or counteract other players’ actions. It is almost like having a robbery plan and getting to execute it on the day. No matter how well have you prepared, there is always something that would not go according to plan. Other players, the sheriff or even passengers can intervene and force you to make changes to the plan. The changing nature of the game is driven by some cards being played face down and some actions getting changed on the fly. All of which creates chaos, genuinely hilarious moments and loads of fun! Finally, after five rounds of shooting and looting, the player who has the most money wins the game. Colt Express is a great family board game that packs an incredible amount of action into a 30-minute game. It is thematic and features beautiful 3D wagons that make the game exciting to play. We are sure that your whole family will enjoy planning actions and seeing the craziness unfold when they get executed. Besides, interactions between players are full on. The unpredictability and hilarious fun make Colt Express one of the best family board games to buy. In Ticket to ride: Europe, you build a railway network in Europe! You try to connect cities from your secret objectives to score the maximum number of victory points. Ticket to Ride is a family of board games, out of which Ticket to Ride: Europe is the most popular. In a nutshell, the game consists of gathering train cards that allow you to build sections of the train network. In your hand, you have “Tickets” which are objectives of the game. Each one requires you to connect two particular cities on the map before the game ends. There are three different ways to score victory points. For every train section, connected city pairs and the longest rail network on the map. But be careful, every failed objective gets you negative points! To be fair, any Ticket To Ride game, regardless of the version, is excellent for families. So what makes Ticket to Ride: Europe stand out as the best of the series? Firstly, Europe has mountains all around, and you need to dig tunnels for some specific sections. Every time you do so, you draw three train cards. For each card that matches your section color, you must give an extra train card of that color. So the choice is yours. You can play safe by having extra cards in your hand, or you can try your luck in digging without any safety net. That adds quite a bit of spice to the game. Secondly, Europe is a very busy and tight map. Consequently, it means that you will need to be quick at grabbing track sections that are in demand. So, be ready for a lot of interaction between players. Thirdly, the game features a ‘station’ concept that allows mitigating issues with the tight map. The idea is that by building stations in a city, you can use someone else’s track section to complete your objectives. In my opinion, this is a clever mechanism that allows you to take more risk and encourages opportunistic play. With Ticket to Ride: Europe, everyone in the family will enjoy the mix of tension and satisfaction by building train networks and completing “Tickets”. With the challenging map and newly introduced stations and tunnels, Ticket to Ride: Europe is the best game in the series and one of the best family board games ever made. I am yet to find a family that would not have enjoyed the family board game experience the game delivers. Camel Up is a game about camels, in fact, about racing them. There are five camels on the board that got themselves engaged in a race. The camels don’t belong to players. Instead, players take on roles of spectators who can place bets on winning and losing camels to make money. Players who manage to predict race outcomes get to earn money. The player who makes the most money by the end of the camel’s race wins the game. The game components, such as the board, camels and 3D pyramid look gorgeous and are well made. You can bid on a given camel for the current portion of the race, called a “leg”. If the camel you bet on is the first at the end of the leg, you gain coins. If you were the first player to bet on that camel, you earn five coins. Being the second gets you three coins and being the third one gets you only two coins. You can roll a die using the pyramid. Initially, the pyramid contains all five dice, one for each camel. So when you have to shake the pyramid and get one die out, you do not know which color it will be. The color and the number of pips, 1 to 3, indicates which camel moves and by how many spaces. You can influence the race by placing oasis or desert tiles on the track, allowing the camels to either slow down or accelerate. Finally, you can bid on who will finish first and who will finish last in the overall race. Similarly to the “leg” bidding, the earlier you bid on this, the more money you could gain. Now, let’s talk about what makes Camel Up such a brilliant racing game, so fun and dynamic. In short, it is a simple, yet genius, catch-up mechanism. Basically, when 2 or more camels end up on the same space, they stack up on top of each other, with the latest arrived going on top. That’s why this game is called Camel Up! Now, let’s say you choose the pyramid action (i.e., moving camels), and the die that comes out is for the green camel that happens to be at the bottom of the stack. The green camel will move and carry all camels on its back at the same time! It means that a camel can move several times during the same “leg” by having others camels carrying him. The mechanism is both simple and genius. It creates so many surprises in the flow of the race that makes the game so exciting to play. Ultimately, it encourages you to bid on late runners hoping other camels can carry them on their backs! 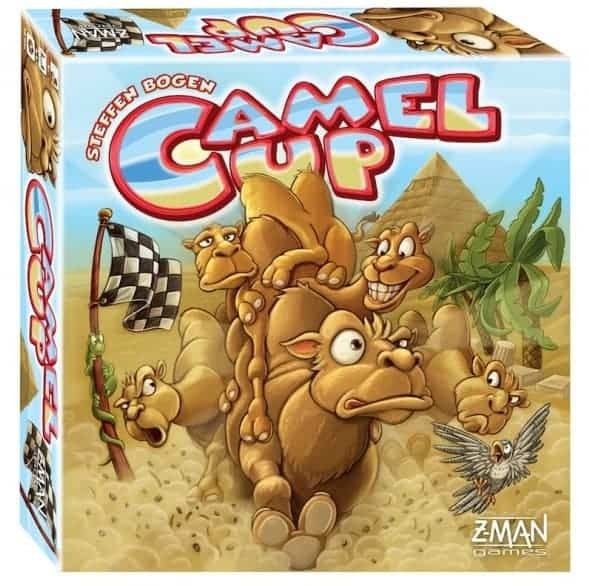 Camel Up is a well-designed racing game that is extremely simple and immensely fun. The game allows you to pick your own risk profile from ultra cautious to going all in. The camel stack-up mechanism brings another dimension of interaction, fun and bidding craziness that will make you laugh, or cry! Besides, the game is extremely accessible, so even the smallest ones can enjoy a great family evening together. Anything can happen in this race! In Clank! In! Space!, you are boarding the spaceship of the Evil Lord Eradikus to steal one of his precious artifacts. But you also need to escape the vessel alive! Clank! In! Space! is the same game as its big brother Clank! : A Deck-Building Adventure, this time, however, it is wearing a science-fiction theme. During the setup, you have to build the spaceship (which is your board) using different pieces or modules. Those pieces are double-sided, so you can play around to create a different ship every time. The material is really cute, although you might find the board a little overloaded at first. Everybody starts on one side of the ship and has to reach the commander module where the coveted artifacts are. Some are harder to grab but will reward with more points at the end. Once you grabbed one, you quickly run back to the starting module and jump into an escape pod. On your turn, you will start with five cards in hand from your deck of very basic cards. You can play those cards to move from room to room, to fight bad guys but more interestingly, to buy new, more powerful cards to add to your deck. From turn to turn, your deck will become bigger and more powerful! That is my friends, classic deck-building in action. The map is not linear, and with the right items and locations, you will move faster by using hyper lifts, telepads, and teleportation. So figuring out the optimal way from point A to point B requires some strategy. Also, you can use more powerful cards, but they make you produce a Clank! The sound attracts enemies which result in more chances of your character getting wounded. So think twice before using them! Clank! In! Space! has a great science-fiction theme. Going through the spaceship is really fun for both kids and adults. Besides, building your own card deck during the game adds a great element of strategy and custom play. In addition, the game manages to build the excitement and engagement throughout the game. If space is your theme, we are sure that your family will enjoy the thrill of this science-fiction heist. Despite being the freshest entry in our review, Clank! In! Space! has joined the ranks of the best family board games out today. Sushi Go Party! is a card game where players collect sets of different types of Japanese food. The revised card game is an expanded version of the super famous original card game Sushi Go! With the new version, you can choose the ‘menu’ upfront. In other words, you can pick the types of food you want to play during your session. In addition, the game now supports up to eight players, so more can join the fun. The objective of the game is to collect valuable food sets. Each set represents a food combination. For example, three different types of nigiri (calamari, salmon, and tortilla) and a wasabi card. To collect the necessary cards for a combination, players need to draft cards in rounds. During each round, players start with a hand of cards. They draft cards by picking one and passing other cards to the player on the left. The process happens simultaneously and goes on until all cards are drafted. For maki rolls, whoever has the majority scores 6 points. If you have three sashimi cards, you score 10. But 1 or 2 sashimi cards don’t score anything. A nigiri scores from 1 to 3 points, but if you managed to play a wasabi card before, it triples your nigiri score. Desert cards are not scored during the round but only at the end of the game. The game goes on for three rounds, so you get to repeat the process a couple of times. In short, you are trying to maximize the points based on cards in your hand, and the hands you’ve seen from other players. But sometimes, you’d also want to grab a card that the player on your desperately needs. This may feel counter-intuitive, but not letting others collect combinations may land you a victory in some cases. Sushi Go party! delivers a simple, short yet an entertaining card game experience. The theme and artwork are cute and friendly! The game is reasonably portable and comes in a tin. You can play the game on a bus, train or hotel making it one of the best family board games to have on the go. 7 Wonders is a card game where you get to play as an ancient leader building a city over three ages. At the start of 7 Wonders, you randomly receive an individual board, representing your city and specific resources to start with. In each one of three ages, you get to draft cards. As the ages progress, the cards also become more powerful allowing you to score more victory points. During each round, players simultaneously select one of seven cards from their hand and pass the remaining cards to the player on their left (or right during the second age). Players keep drafting cards until all cards for the given Age have been dealt. Now, that you have drafted cards, you need to add them to your player board. Before the card gets added, it has to meet the resource requirements. For example, it may require a clay, wood, and stone to erect a temple. Overall, there are seven types of resources, four raw materials, and three manufactured goods. In addition to resource and manufacturing buildings, other building types should be considered. Other structures allow you to gain Victory Points, Money, Military Power or Science that help to accelerate your progress. Finally, the last third age features special purple buildings. 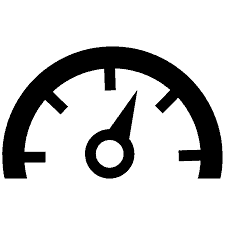 They add a great twist that allows you to boost your point accrual dramatically. The buildings typically come with tough conditions to acquire but are likely to pay back great dividends. In addition, you can also decide to build a Wonder that consists of three parts. The preconditions and the benefits for wonders depend on each player’s board. 7 Wonders a fast-paced and very approachable civilization game. Because of its simultaneous drafting mechanism, it plays exceptionally well from 3 to 7 players. Although the game is abstract and light, it manages to provide you a feeling of building a city. Overall, 7 Wonders is one of the best selling family board games of all time, and everyone should give it a go. Pandemic is a collaborative game where players form a team of doctors and disease experts. With multiple board games in the series, Pandemic is the first game that has kicked off the genre. It is also the only one that can be considered a classic so far. Other board games, such as Pandemic Legacy and Pandemic Iberia are also highly regarded as one of the best family board games of all times. You start the game by picking the character and the special ability. In addition, you have to place four plagues randomly on the world map. Players have four action points to spend from on their turns. You can move across the world map, treat disease hotspots before they outbreak and research for cures to eradicate them from the map. To win the game you must collectively discover four cures to free the world from deadly viruses. The great mechanism of Pandemic is that once in a while an epidemic outburst happens. As a result, cured cities get infected, and you have to stop the chain reaction that is getting out of control. Predictable? Yes, but it ultimately means that you have to keep treating the disease non-stop unless you have discovered an antidote. Pandemic is a reasonably tense board game. It requires a fair bit of thinking, planning and close to perfect coordination between players. If you are playing this game with kids, the chances are that you will be amazed. It is incredible to see how quickly can kids come up with plans, discuss and improve them. Pandemic has the perfect theme for a collaborative game that bonds players on a shared mission. It features healthy tension all way through the game as you never know when you’ll find the cure. It encourages people to participate, problem solve and agree together as a team to vanquish the dreadful plague. Pandemic is one of the top family board games out there and my personal favorite. In Small World, you control a succession of fantasy races to grow and develop them as much as possible before they decline. The map is flashy, cute and comes printed on both sides of the board. Depending on the number of players, you pick one side or the other. The premise of this game is the map that is intentionally too small to host all players’ races comfortably. As a result, there is not enough room and players find themselves fighting for existence! At the start of the game, each player selects one of the races from the display. Each race features a special racial ability. In addition, you also get to choose a special power randomly. The combination of the racial ability and the superpower results in a unique strategic approach for almost every game. To start the game, you need to deploy your race on the map. Looking for quick wins and slow, but consistent expansion is the key to winning the game. You are likely to need to push a couple of other races out, but try doing it a way that you don’t lose the conquered territories later on. 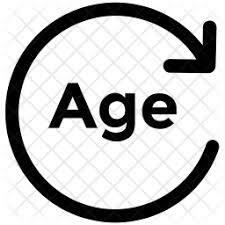 Over time, your race reaches it’s full potential and starts to age. It is no longer able to expand at the same rate, so it might be wise to “decline” it. In short, it means turning the race from active conquerors to passive inhabitants. They are still present on the map, but no longer play an active role anymore. So what happens next? Well, you choose another race to continue your expansion on the map. You keep going like this, scoring victory runs for both, your active and in decline races. With its unique race and special powers, the game delivers a very tactical experience. It keeps the family members engaged as you get to learn how to take the best advantage of the racial abilities and different superpowers. Overall, Small World is an amazingly beautiful and simple family board game. It has also earned its place amongst the best fantasy board games in our other review. Small World makes the “tour de force” of being a wargame, yet also being fun, fast and simple. It is incredibly accessible to everyone in the family, even the youngest ones. The game comes with cute and colorful components that work well with its light-hearted spirit. In addition, the game induces a fierce but fair competition between players. Even when your race gets wiped out by opponents, you can always revenge on the next turn with the new race. Flash Point: Fire Rescue is a game where one to six people take on roles of brave firefighters. Similarly to Pandemic, Flash Point: Fire Rescue is a fully cooperative game where players win or lose together as a team. The game comes with two sets of rules, allowing you to tailor the gameplay for family or experienced players. The main differences between two versions is the specialist roles that are introduced in the experience mode. You can choose to play as a rescue specialist, captain, paramedic, imaging technician, CAFS firefighter or generalist. It makes the game slightly more complex, but a lot more fun at the same time. You probably want to start with the family version, especially if playing with kids. Later, as you get better at it, you can always try the experienced mode. The board has two sides depicting different house layouts. Once you’ve picked the side, you need to add fire tokens, points of interests, people and pets to rescue to the board. On your turn, you’ll have a bunch of actions to choose from. You can move, extinguish a fire, open and close doors, break through walls, carry victims, drive an ambulance or even a fire truck. Once you have exhausted all your actions, you need to make the smoke and fire progress using two dice. The roll tells you the coordinates on the map where the fire danger gets intensified. If there was no previous danger noted in that location, you need to add smoke. Instead, if there was smoke before, it turns into fire. Lastly, if the area was already on fire, it explodes with fire expanding to adjacent rooms. Depending on how lucky is your dice roll, you can injure firefighters or people you are trying to save. Overall, the game does deliver a true panic mode experience. There is simply too much to do and too little time to take care of everything. You have to find the right balance between controlling the fire and rescuing people. Additionally, you want to make sure that the unique abilities of each firefighter are put to the best use. Flash Point: Fire Rescue has an attractive theme for both kids and adults. It does create a feeling of teamwork and a good cause to help people in danger. The gameplay can be tailored to adjust the difficulty level to your liking. The smoke and fire progress simulation is smart and exciting, although it can be devastating too. Overall, Flash Point: Fire Rescue is one of the best family board games to play for fun and raise fire awareness. Besides, coming up with a perfectly-studied plan to rescue people in danger is an extremely rewarding experience. What is a drafting Game? It is a game where players start with a hand of cards. They select one to keep and give the rest to the player on their left. Why Are Family Board Games Different? Board games that fall under the ‘Family’ category are typically accessible to a wide audience in terms of the theme and player’s age. Family board games also need to be easy or easy-medium in terms of difficulty as you want to hit the ground running with minimal downtime. It is about making the board game easy for everyone and having fun! I think you’ve missed out on the biggest hit of 2017 – Azul! Great game, no doubt. In fact, it made it to our other review here top two player games For family selection, however, the game only supports 2-4 players and plays bad with 4, with 2-3 being the recommended player size. Not ideal for families. Picking top family board games is the hardest review of the lot… there are literally hundreds of board to choose from. Do you guys include only the latest games or you consider everything? Original Pandemic – what about their legacy stuff, any good? They are amazing, they truly are. At the same time, if you want to get the full experience, you need to stay committed and really go through the scenarios and the campaign. Not many people have that level of commitment.